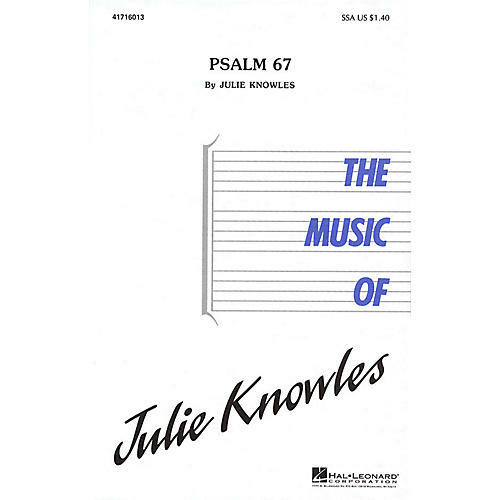 A dynamic concert or contest selection, Psalm 67 features two contrasting moods. A unison or solo rubato theme precedes the dynamic and rhythmic middle section. A contrasting major chord brings a unique finality to the gentle ending. Available: SSA.